The newly-appointed Bishop of Clogher, Dr Liam MacDaid, has said it may be 'no bad thing' that the Catholic Church has been brought to its knees by the child abuse crisis. Bishop MacDaid also said society was rightly checking that the church is sincere in its intentions and efforts towards rehabilitation. 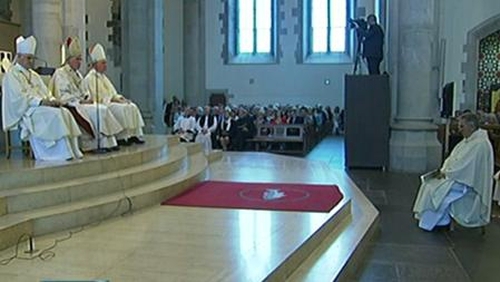 He was addressing the congregation at his ordination in Monaghan this afternoon. 65-year-old Bishop MacDaid who hails from Donegal, was ordained by Cardinal Sean Brady assisted by the outgoing Bishop Joe Duffy, and local-man Bishop Noel Treanor of Down and Connor. 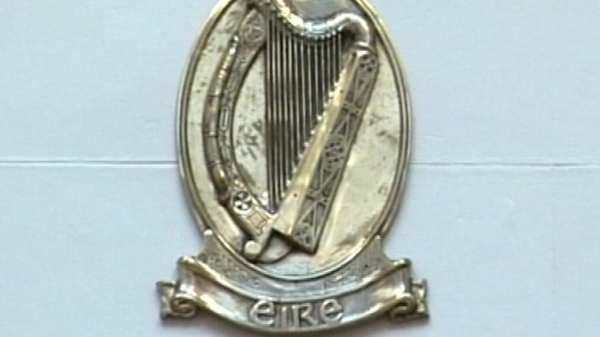 Taoiseach Brian Cowen and Tánaiste Mary Coughlan were accompanied by President Mary McAleese's Aide de Camp, Captain Niamh O'Mahony. Northern Executive member Michele Gildernew was among those representing the Fermanagh half of the diocese. In his address, the new Bishop spoke of ‘terrible failures’ involving child abuse which society had ‘forced’ Irish Catholics to face up to. ‘The surgeon's knife has been painful but necessary. A lot of evil and poison has been excised. There comes a time when the surgeon's knife has done what it can, is put away and a regime of rehabilitation for the patient is put in place. He praised the courage and fidelity of his fellow-bishops, many of whom had been 'called to imitate Jesus Christ in carrying the sins of others.' He said Jesus made no room in the Church for privilege, earthly pomp or power or for lording it over anyone. In an apparent reference to victims and survivors of abuse, the Bishop said there were many painful experiences in life where only forgiveness could bring closure. Eslewhere, the former Police Ombudsman in Northern Ireland, Nuala O'Loan, has compared the problems in the Catholic Church here with what happened in the past in the RUC. She said that in both cases, when something went wrong it was addrressed in a way that would not damage the institution.